Our inviting breakfast room is the ideal setting to enjoy a plate of buttery, syrup-coated Belgian waffles. 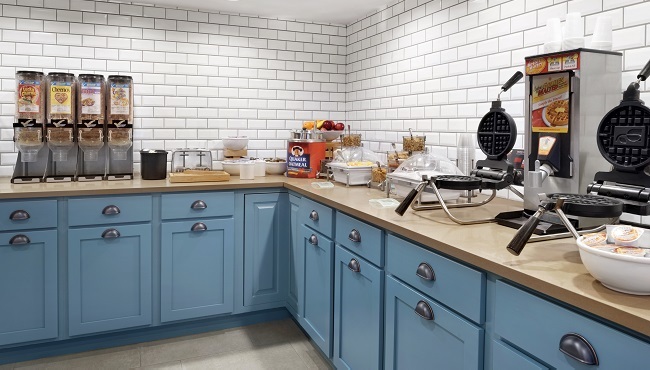 At the Country Inn & Suites, Houghton, MI, we serve a tantalizing selection of breakfast fare, including sausage, pastries, bagels and fresh fruit. You may also enjoy our rotating selection of hot items and our oatmeal bar. For lunch and dinner, satisfy your hunger at nearby restaurants such as Joey’s Seafood & Grill, Four Seasons Tea Room, Ambassador Restaurant and Gemignani's Italian Restaurant.